Isn't it just great to see legendary players back on the football pitch, even if it is in a managerial role? Well, I would prefer to see them back in action to be honest, but if they can be as good from the sidelines as they were on the pitch, why not give it a shot? It doesn't need much emphasizing that in recent years a lot of players have taken up football coaching as a full time profession. Some brilliant players have failed to make their marks, while some mediocre players have cemented their place as one of the best managers in the world. The inaugural season of ISL was played in 2014. And not surprisingly all the head coaches of the teams were from overseas. But, what was quite surprising is that these managers included a World Cup winner and one of the greatest Brazilian player of all times among them. And the list of star players trying out their luck at the helm of the teams had only increased over the next 3 seasons of ISL. 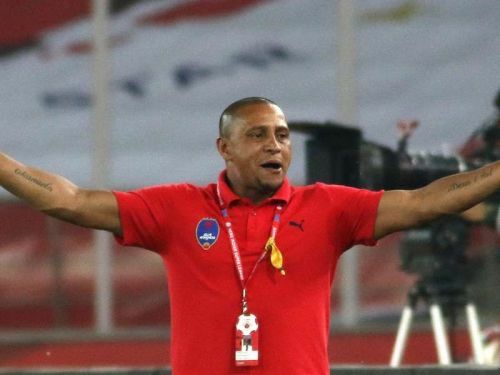 So, here's a list of the top 5 players who became managers in the ISL. David James, who literally earned the nickname, 'Calamity James' because of his tendency to be sloppy between the sticks, is the current head coach of Kerala Blasters. While he will be remembered for his frequent blunders, it should not be forgotten that he was a great keeper nonetheless, who made some amazing saves back in the day. He held the record for most clean sheets in the Premier League before Cech surpassed him in 2015. He is a one-time FA Cup winner with Portsmouth and League Cup winner with Liverpool. He represented England 53 times. His journey in the ISL began when he was appointed as a player-manager for Kerala Blasters in the inaugural season. In that season he led them all the way to the finals, where they ran out of luck and lost to ATK. He is back at the helm of the club again and will look forward to taking the team all the way to glory this time.